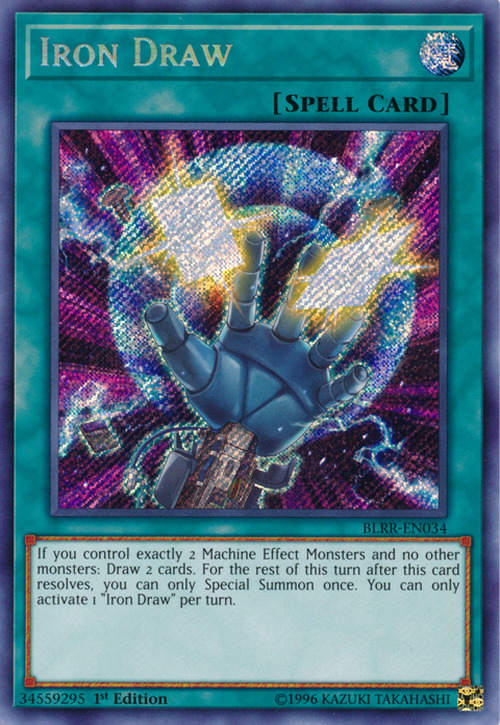 If you control exactly 2 Machine Effect Monsters and no other monsters: Draw 2 cards. For the rest of this turn after this card resolves, you can only Special Summon once. You can only activate 1 "Iron Draw" per turn.